We appreciate your feedback about your support experience with WooCommerce, developers of WooCommerce SnapScan Gateway. This helps us maintain high standards on the WooMarketplace, and helps WooCommerce improve. An active SnapScan merchant account. Payment happens onsite with a trusted mobile payment provider! SnapScan is the preferred way for South Africans to pay with their phones. 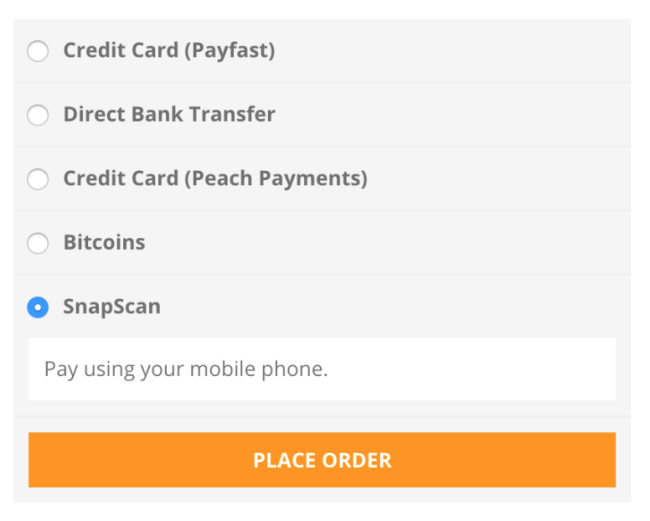 You may know the app from your favorite weekend market or local coffee shop, but SnapScan also provides payment solutions for larger merchants. From payments and invoicing for Pathcare laboratories to online checkout for big brands like Superbalist, Spree and Wellness Warehouse, we have expanded rapidly, and our flat rate of 3% (incl. VAT) per transaction is highly competitive. 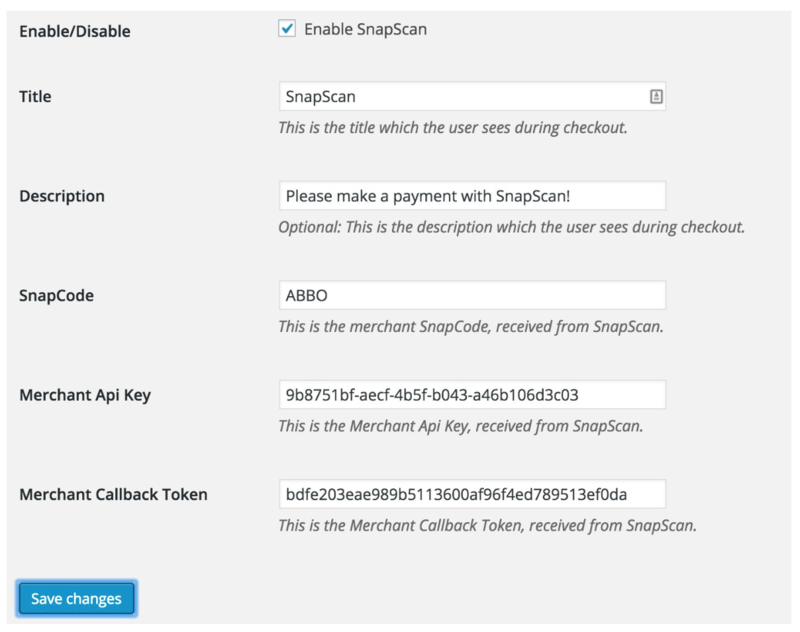 How do I start using SnapScan? 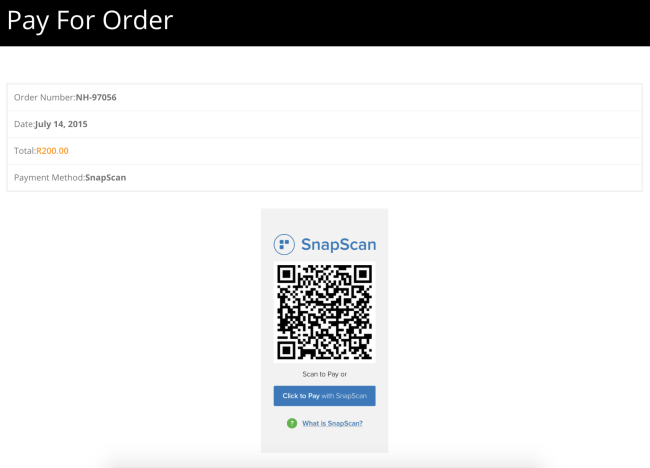 To get started with SnapScan, you need a merchant account. No mountains of paperwork! Just mail help@snapscan.co.za and we set you up in no time. The sign-up process takes 10 minutes maximum, then we send you all the information you need. Once a customer has paid, their order is automatically completed and the website updates. As a merchant, your order list displays confirmation of the SnapScan payment, and you can begin the delivery process. What happens after I have a merchant account?